You are here: Home / Clarity / What is your Desired Outcome? Clarity in everything we do is our goal. 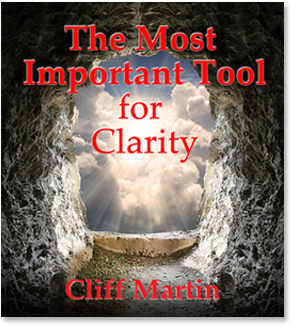 Our most important tool for gaining clarity is questions. What is the first question we use? This sometimes is the only question you need to be clear about some issues. What is my desired outcome? is a question that gets at the heart of all issues. If I’m going to take action what outcome am I looking for from that action? This applies to almost any kind of situation. If a two year old has a temper tantrum what is he trying to get from that action? If a company decides on a new product what vision does that new product fit? If a president of a country bombs some enemy what does he obtain from it? Too often we (either as individuals or corporately) take actions with no clear end in sight. Stephen Covey used to talk about taking action with the end in mind. When the vision of where you wish to end is always in front of you essential mistakes and distractions are much less likely. It is much less likely for a project to be sabotaged if everyone has a clear picture of an end in mind that they believe is achievable. So when you are in a place where some decision must be made ask your self, “what is my desired outcome?” Then ask, “Does the action I am contemplating bring me closer to my desired outcome or further away?” When you can answer both of these questions decisions are much easier because your path is clearer. In the next few days practice using these questions and let me know how they work for you.